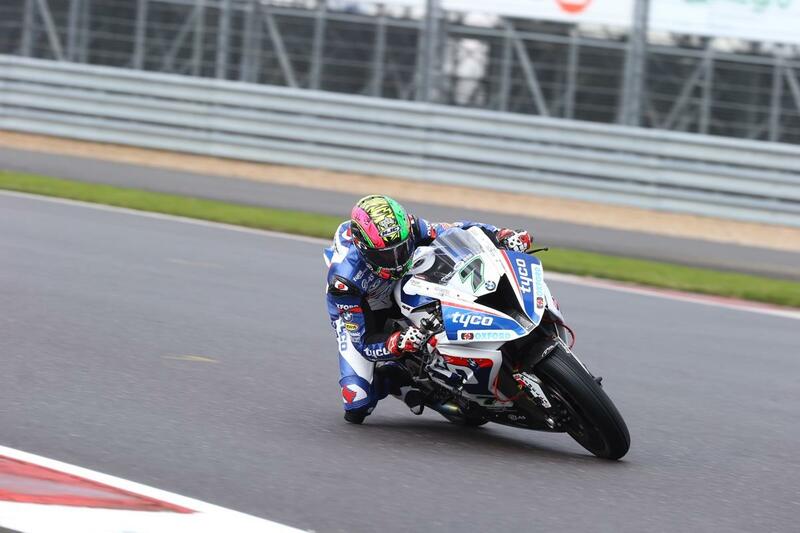 Tyco BMW rider Michael Laverty took his ninth BSB win with victory in the first race of the 2016 season, holding off all challengers from the first lap. Jason O'Halloran got the holeshot, but was quickly displaced by Laverty who controlled the race perfectly once in the lead. Honda Racing's Dan Linfoot pressured Laverty for the majority of the race, but was unable to make a move and was passed by four-time champion Shane Byrne on lap 11. Despite a late charge the experienced Byrne was unable to make a move on Laverty, settling for second onboard the Be Wiser Ducati. Tyco BMW rider Christian Iddon took his maiden BSB podium after taking third place from Luke Mossey on the final lap. Despite their early place, the Honda duo of Linfoot and O'Halloran couldn't keep pace with the top four, finishing fifth and sixth respectively. With the fastest lap of the race Linfoot will start the second race from pole position. Pole sitter Leon Haslam got a good start on the JG Speedfit Kawasaki, but seemed to struggle to keep pace with Laverty and O'Halloran, before retiring on lap three with what appeared to be a mechanical issue. Haslam's team-mate Peter Hickman made his way up to fourth place and was catching the lead group before he too retired with a mechanical issue on lap nine. That left James Ellison as the lone JG Speedfit Kawasaki rider, finishing the race in 13th place.